www.city-data.comBeginning in 2012, the famous Love Park will go under a sustainable metamorphosis as the project leaders from the Philadelphia Parking Authority (PPA), the Philadelphia City Planning Commission and the Fairmount Park Commission attempt to make the park more user friendly. According to Plan Philly, the surface of the 45-year-old open space will be stripped away so that repairs can be made to the leaky, non-handicapped-accessible garage that lies beneath the park. The ultimate goal of the project is to make the park more pedestrian friendly while preserving its aesthetic assets, such as the diagonal site line that connects the park to the Benjamin Franklin Parkway. The most beautiful aspect of this makeover is the fact that it will not cost the city a dime. The Philadelphia Parking Authority is paying for the work because the park is technically the roof of the parking garage. Substantial sustainable changes will involve the use of captured rain to water the garden areas around the park, implementing new windows, roofing and public bathrooms along with making the garage handicapped accessible. 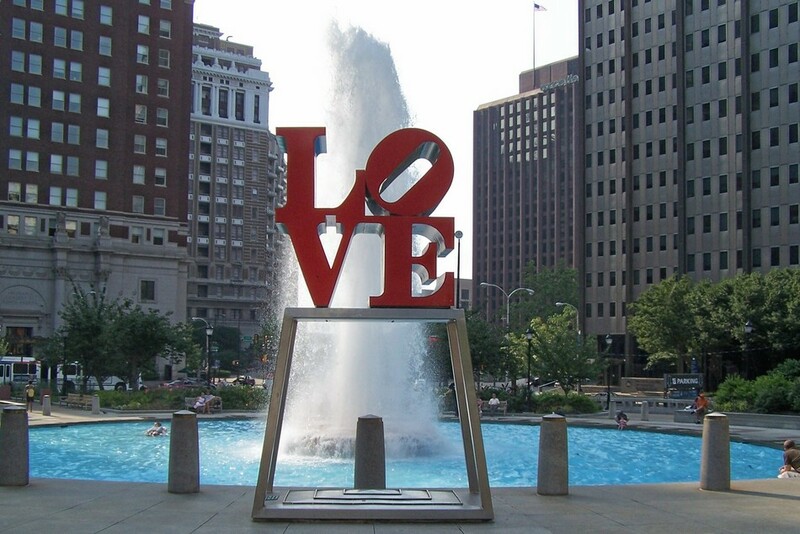 No worries, Robert Indiana's iconic LOVE sculpture will be preserved.